Soon the weather will be cooler and it will be a great time to be outside! A fabulous place to go is Pullen Park! Pullen Park was the first public park in North Carolina. It is a wonderful place for people of all ages. Located between Western Blvd., Hillsborough St., Ashe Av. and North Carolina State University, Pullen Park has many things to do during your free time. 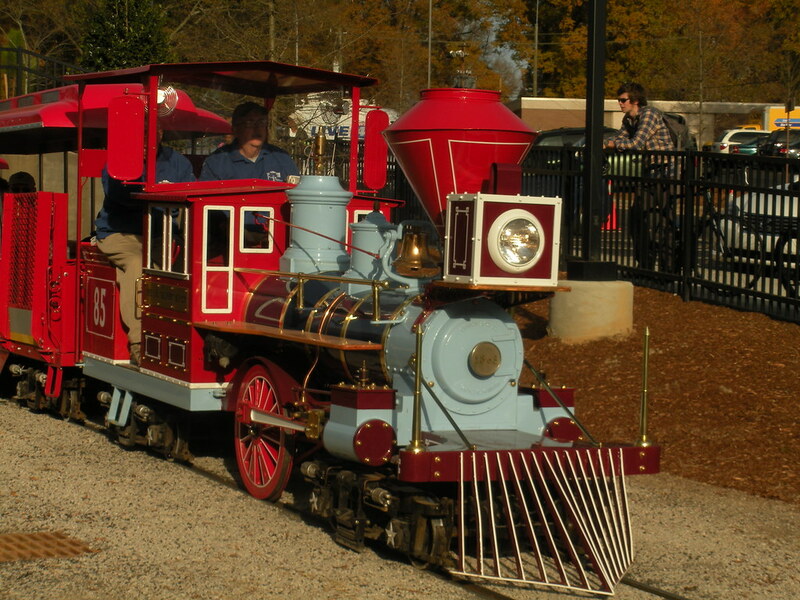 Pullen Park was founded on March 22, 18817 by Richard Stanhope Pullen. He donated the farmland as a gift to the City of Raleigh to be used as parkland. He wanted the land to be used for the recreation use and pleasure of the inhabitants and the visitors to the City of Raleigh. Pullen Aquatics Center – With a indoor Olympic sized pool, the aquatic center is perfect for swim classes, recreation, and competitive events. Pullen Community Center – Located beside the aquatic center, the community center has a fitness room, warming kitchen and five multipurpose meeting rooms. Pullen Arts Center – Offering workshops, a gallery, studio areas and pottery kilns, this arts center has it all. Pullen Amusements – The Amusements Center has undergone extensive renovation and is now open for you and your family to enjoy! Pullen Place Cafe – Located in the Amusement area near the Welcome Center, Pullen Place Cafe offers fresh, local, seasonal foods. Pullen Park Playground – The playground is made up of four distinct areas, distinguished by the age group they serve or the activities they focus on. Pullen Athletic Fields – The park offers three softball fields and six tennis courts. Click on the links above to find more information. Have fun!